UAVs are becoming more and more present in our everyday life and there are lots of different projects that are being currently developed in order to control their flight, handle their stability, make it possible to edit automatic missions that the drones will execute and anything that the developers can think of. On October 2014, the Linux Foundation announced the creation of the DroneCode Project which is to become “a common, shared open source platform for Unmanned Aerial Vehicles (UAVs)”. Parrot started to sell Linux based drones in 2010 and obviously needed to take part in that adventure. This Lightning Talk will try to give a quick overview of the projects that are developed by the Dronecode community and explain why and how I started a few months ago to port an open source autopilot name Ardupilot to Parrot’s drones. This Lightning Talk will also present the current status of this project, and the many possibilities that can come from it. 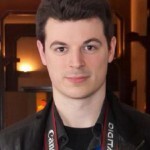 Julien BERAUD – Responsible for video and graphics Linux drivers at Parrot since the beginning of 2014, Julien started open source software development for Parrot’s drones in June 2015. He is the Technical Interface for Parrot at the Dronecode Foundation. Getting the Linux kernel running on a new processor architecture is a difficult process. Worse still, there is not much documentation available describing the porting process. After spending countless hours becoming almost fluent in many of the supported architectures, I discovered that a well-defined skeleton shared by the majority of ports exists. Such a skeleton can logically be split into two parts that intersect a great deal. The first part is the boot code, meaning the architecture-specific code that is executed from the moment the kernel takes over from the bootloader until init is finally executed. The second part concerns the architecture-specific code that is regularly executed once the booting phase has been completed and the kernel is running normally. This second part includes starting new threads, dealing with hardware interrupts or software exceptions, copying data from/to user applications, serving system calls, and so on. In this talk I will provide an overview of the procedure, or at least one possible procedure, that can be followed when porting the Linux kernel to a new processor architecture. Joël Porquet – Joël was a post-doc at Pierre and Marie Curie University (UPMC) where he ported Linux to TSAR, an academic processor. He is now looking for new adventures. With the advent of cloud architectures, virtualization has become a key mechanism. In clouds, virtual machines (VMs) offer both isolation and flexibility. This is the foundation of cloud elasticity, but it induces fragmentation of the physical resources, including memory. While each VM memory needs evolve during time, existing mechanisms used to dynamically adjust VMs memory are inefficient, and it is currently impossible to take benefit of the unused memory of VMs hosted by another host. This presentation is about Puma, a remote cache mechanism that improves I/O intensive applications performance by providing the ability for a VM to entrust clean page-cache pages to other VMs having unsused memory. By reusing the existing page-cache data structures, Puma is very efficient to reclaim the memory lent to another VM. By being distributed, Puma increases the memory consolidation at the scale of a data center. In our evaluations we show that Puma can significantly boost the performance without impacting potential activity peaks on the lender. 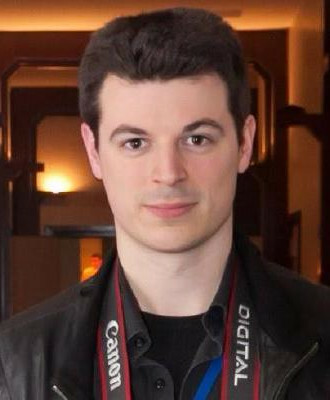 Maxime Lorrillere is a PhD student at Pierre and Marie Curie University (UPMC) since September 2012. He works within the REGAL Inria research team at Laboratoire d’Informatique de Paris 6 (LIP6). His Ph.D. is about how to adapting cooperative caches to cloud computing and virtualized environments. He does some teaching at UPMC in operating systems and Linux kernel programming (master level). Cloud this, cloud that…It’s making everything easier, especially for web hosted services. But what about the servers that are not supposed to crash ? For applications making the assumption the OS won’t do any fault or go down, what can you write in your post-mortem once the server froze and has been restarted ? How to track down the bug that lead to service unavailability ? In this talk, we’ll see how to setup kdump and how to panic a server to generate a coredump. Once you have the vmcore file, how to track the issue with “crash” tool to find why your OS went down. Last but not least : with “crash” you can also modify your live kernel, the same way you would do with gdb. Adrien Mahieux – System administrator obsessed with performance and uptime, tracking down microseconds from hardware to software since 2011. The application must be seen as a whole to provide efficiently the requested service. This includes searching for bottlenecks and tradeoffs, design issues or hardware optimization.